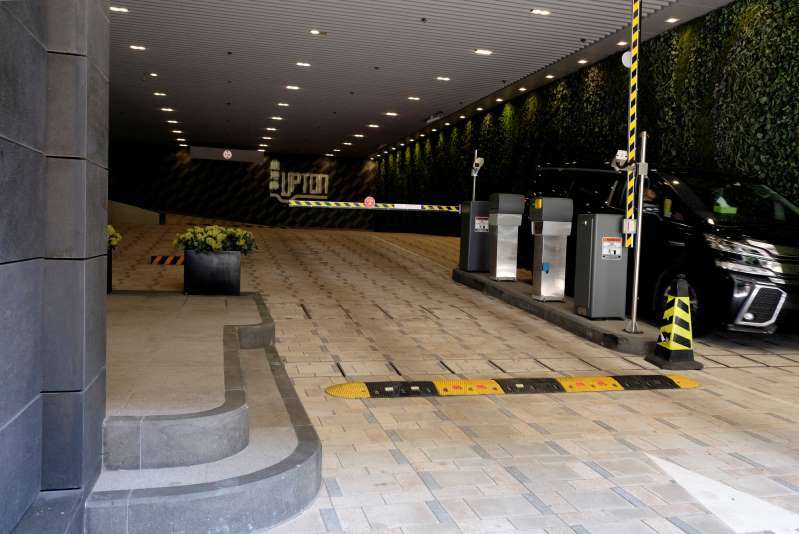 The market for parking spaces is hotter than ever as a single spot in a luxury development in Kowloon’s Ho Man Tin district changed hands for a record HK$6 million ($765,000). The average parking space now goes for about HK$2.25 million, a more than sixfold increase since 2006. That makes the city’s housing market, the world’s least affordable, look tame by comparison. Home prices increased a mere 3.4 times over the same period. In the first half of this year, some HK$10.3 billion of spaces changed hands, up from HK$6.58 billion in the same period a year earlier, according to Midland Realty Services Ltd. Car owners in London and New York face similar problems. In Manhattan, spaces at a luxury condo at 42 Crosby St. in Soho were advertised for $1 million, according to the New York Times. A real estate agent who handles sales for the property declined to comment. Hong Kong developers are partly to blame. They make more money building apartments than garages, so the ratio of parking spots to housing units has declined, said Denis Ma, head of Hong Kong research at consulting firm Jones Lang LaSalle Inc. The number of parking spaces grew just 9.5 percent to 743,000 from 2006 through 2016, while the private car population surged 49 percent to 536,025, according to a report by the city’s Transport Department. Hong Kongers are no strangers to sky-high prices. The city has held the dubious distinction as the world’s least affordable housing market for eight straight years. Residents have been known to put their money into unusual investments including taxi medallions, and golf carts that sell for as much as $255,000. Speculators are exacerbating the shortage. Carparks have become an attractive alternative to real estate in recent years, especially since the government imposed additional taxes and tighter mortgage ceilings of as much as 50 percent to rein in housing prices. A parking spot costing HK$2.25 million carries a stamp duty of 3 percent compared with home purchase taxes that can run as much as 30 percent. And there’s an additional 15 percent tax for flipping a property within a year, while carparks are exempt.